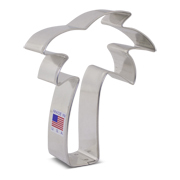 Residents and admirers of Florida will love the state of Florida Cookie Cutter, 4 1/8." 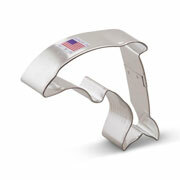 Makes a cool gift for a retiree who plans on flying south for winter! 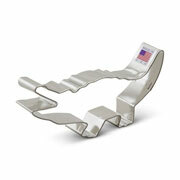 4 1/8" x 3 1/2"
Size: 4 1/8" x 3 1/2"
The Florida cookie cutter is the best! Nice size, not too intricate for rolled sugar cookies. Using it for a "Welcome Home" party as our SIL retires from the USCG and the family rejoins us. 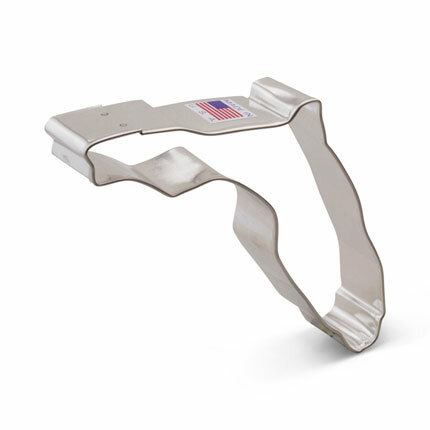 Glad that Ann Clark products are made in the USA. Thanks!